It seems like every month we have at least one friend welcome a new baby around here which is absolutely amazing! Now that I’ve gone through the whole spiel I try to do something special for my friends who are transitioning into the role of a new mom. When Maddie Grace was born all the presents that people brought and mailed for her really touched our hearts, but a few people also brought gifts for me to make the first few weeks easier and those made such an impression on me that now I always try to get together a new mom gift basket for those special ladies in my life having babies. 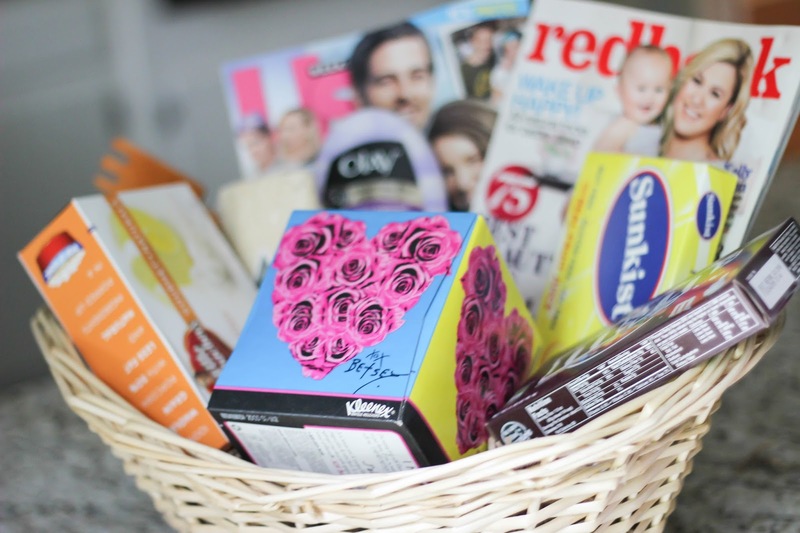 And this isn’t just for a new mom – these gift baskets are perfect for second, third, fourth, etc. children as well. 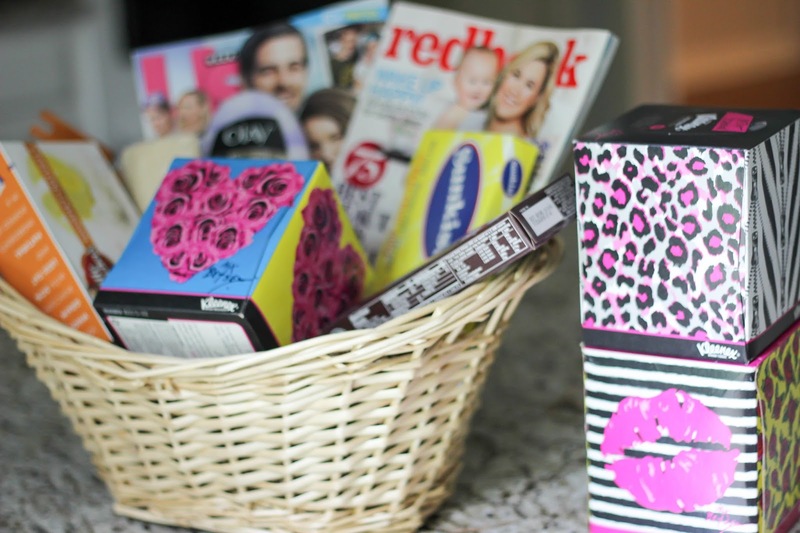 KLEENEX® Betsey Styled Single Packs – It’s the little things that you don’t think about with new babies. One is definitely tissues. The first week or so I did a lot of laying in bed and having a box of kleenex next to me, whether to blow my nose or from hormonal crying, was crucial and something I didn’t think to stock up on before the baby came. 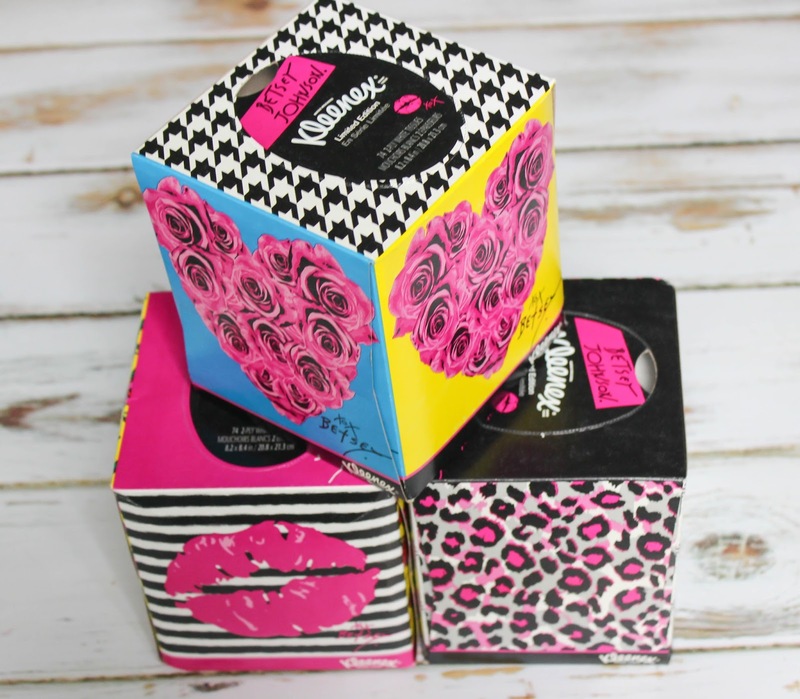 I love these KLEENEX® Betsey Styled Single Packs because the fun and lively prints brighten up the room and are sure to make any mom with a new baby smile. I love all the designs but the Hearts pattern seemed the most appropriate for this gift basket. KLEENEX® also sells Betsey Styled Wallet 3 Packs that are great to get a mom for throwing in her diaper bag once she can leave the house! Snacks – Grab some little no preparations snacks. New moms will have lots of people bringing them meals but sometimes need something just to munch on while baby is sleeping on them or while breastfeeding. Candy, popcorn, granola, etc. make perfect munchies for moms of newborns. Magazines – Okay these were my favorite thing someone brought. Once again as a mom of a newborn you spend a lot of time laying in bed with baby sleeping on you or breastfeeding and while that’s amazing, it’s nice to have something to look at and I can only handle so much TV so I loved having magazines to flip through. Body Care – Like I mentioned with the tissue sometimes new moms forget about stocking up on basic necessities. I was so thankful that a friend brought me nice body wash and lotion because not only was it a way to pamper myself, but also saved me a trip to the grocery store when I run out because I forgot to stock up before the baby game. Another good idea is face wipes so mom can easily refresh without getting out of bed. 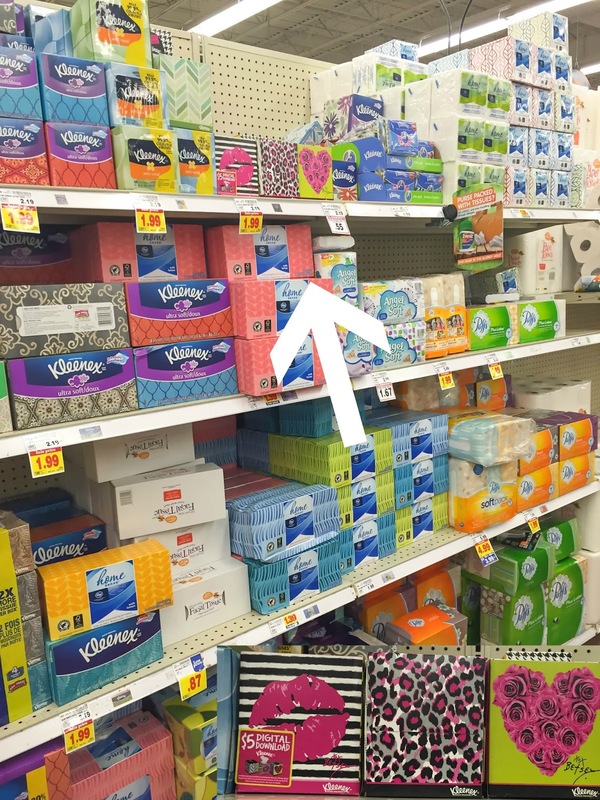 I found KLEENEX® Betsey Styled Single Packs at my neighborhood Kroger! governed by terms in Accountholder Agreement https://www.activaterewards.com/Kleenex/terms_and_conditions. Digital content may not be available for all devices. No cash value. LLC. ©2015 Fandango Loyalty Solutions, LLC. All Rights Reserved. 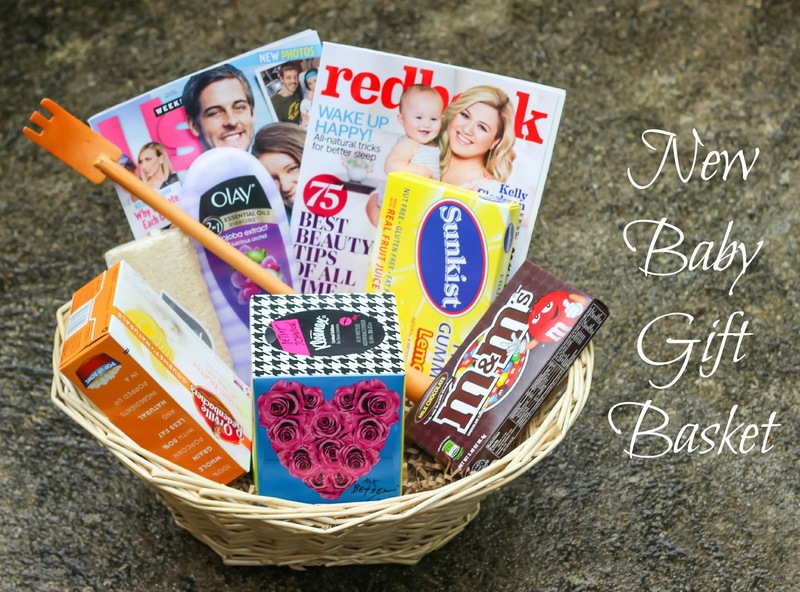 What am I missing that you would put in a new baby gift basket? What a cute idea and it's so true! Every other month I have another friend who is pregnant or having her baby! Did you include a back scratcher?? I love the Betsey prints! This is really a fantastic idea…I'm visiting a new mom friend at the beginning of June and will be sure to create something similar to make her smile!